Our new favourite! Bronte Bunny by Australian brand Alimrose, makes a special gift and keepsake. Alimrose is the designer name in the children’s gift market. They have been in business for more than 30 years and pride themselves on gorgeous designs and great service. With a passion for design, an eye for detail and a feel for beautiful fabrics, Alimrose are the home of the sweetest dolls, loveliest baby accessories & gorgeous toys for kids. Give. Inspire. Play. Includes wind-up key, instructions and gift box. 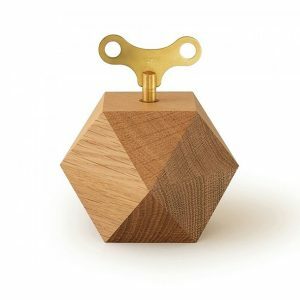 SIEBENSACHEN Diamond Music Box has been designed and crafted to give many years of pleasure through normal use. However please note that damage may be caused to the chime mechanism under certain circumstances. Avoid over winding by more than 4 turns or rewinding whilst playing. The music box should not be subjected to severe physical shocks. There’s a bear in there. But no need to be afraid. 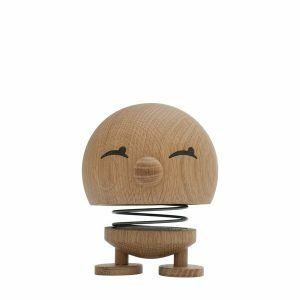 The friendly wooden bear from Danish brand OYOY just wants to brighten up your room with his friendly smile and soft design. The OYOY Wooden Bear makes an ideal display piece for a shelf or bedside. Combining traditional Scandinavian simplicity with a touch of Japanese aesthetic, this piece will be loved for years to come. Made from beech and oak woods, this handcrafted piece has a soft, smooth surface and a natural woodgrain finish. The included 70cm long leather cord lets you hang your wooden bear from the ceiling or a beam if desired. 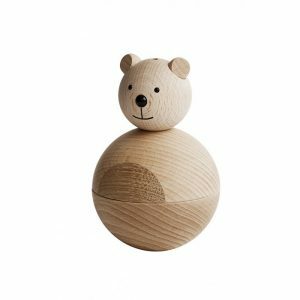 The Leika Bear from Danish brand OYOY combines Scandinavian simplicity with a twist of Japanese design to create gorgeous decor for children of all ages. The OYOY Bear is designed for decor rather than for play. Did you know a group of penguins is called a waddle? 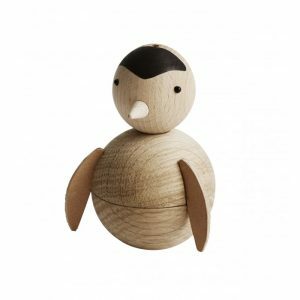 This sweet little penguin from Danish brand OYOY will happily sit on a desk or shelf. Then just give him a little push and watch him waddle from side-to-side. Made from natural, hard-wearing beech and oak woods, the wooden penguin has been handcrafted using traditional methods. Fusing Scandinavian simplicity with a Japanese aesthetic, it is sure to be a treasured piece for many years and the perfect decor item for a children’s bedroom, nursery or anywhere in your home. OYOY’s wooden penguin is made from two spheres and also has a painted face and leather wings. Place him on a shelf or side table or alternately hang him from the ceiling with the included leather cord. The OYOY Penguin is designed for decor rather than for play. SIEBENSACHEN Mozart Kugel Music Orb Beech is a precious gift for a first born child, baby's first Christmas, a Christening, or for expectant parents. Manufactured by Siebensachen in Germany in a village on the edge of the Black Forest, the chime is mounted inside premium beech wood that has been fashioned into a perfect sphere. Children and adults alike will love to handle the finely finished music ball and listen to the sound of the melody within. A turn of the elegantly shaped key magically produces one of Mozart‘s melodies from inside the white ball. Manufactured in a village on the edge of the Black Forest, the chime is mounted in premium quality lacquered wood that has been fashioned into a perfect sphere. Though the mechanism remains hidden, the music will always escape the bounds of the geometric form. The only hole in the ball is where the wind-up key enters and although the mechanism remains totally hidden the music will always escape the boundaries of the beech case. A 20mm diameter metal ring can sit unseen underneath the ball to allow it to rest still on a shelf or mantlepiece. The New York Times selected Mozartkugel as ‘must-have’ while on show in the MoMA Stores. Colour: Beech. Also available in White and Golden Oak. Melody: ‘Voi che sapete’ from ‘Marriage of Figaro’ by W.A. Mozart Includes wind-up key and ring-shaped cradle, instructions and gift box. 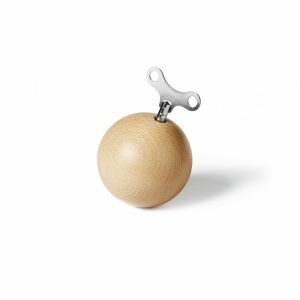 SIEBENSACHEN Mozart Kugel Music Orb has been designed and crafted to give many years of pleasure through normal use. However please note that damage may be caused to the chime mechanism under certain circumstances. Avoid over winding by more than 4 turns or rewinding whilst playing. The music orb should not be subjected to severe physical shocks. 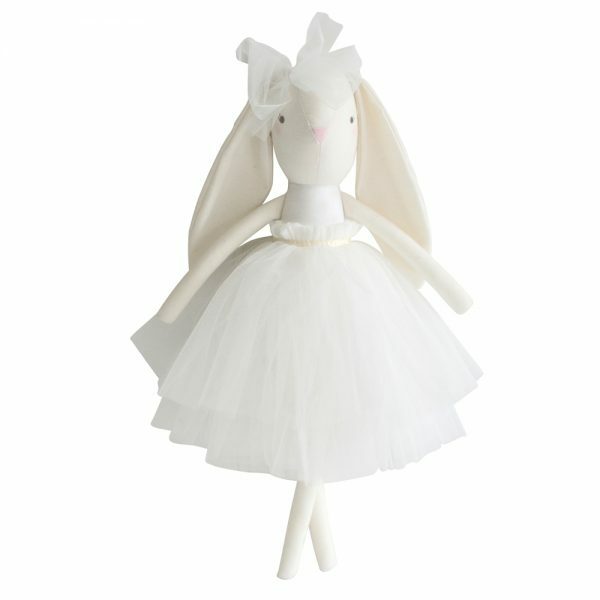 The Hoptimist Bimble is a wonderful gift for a range of occasions, including baby showers, christenings, and birthdays. 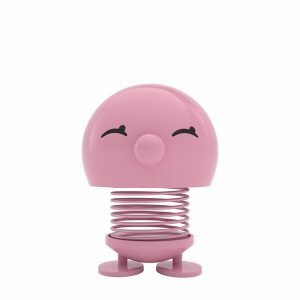 Created to inspire a smile, Bimble is a happy companion who will share her joy with your child for years to come. These beloved decorative toys epitomise Danish design and have even won awards for their iconic appearance. They were originally designed by Danish architect, Gustav Ehrenreich in the 1960s and have been bringing joy ever since. The Hoptimist Light Red Bimble comes in two sizes. 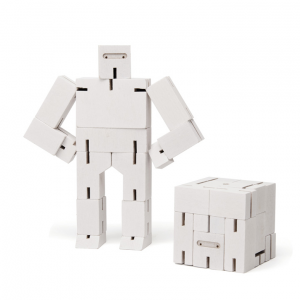 While Bimble measures 13.5cm x 10cm, Baby Bimble features a smaller size of 6.5cm x 5.5cm. Although both are suitable for children’s bedrooms, the bigger Bimble looks lovely sitting on a shelf or bookcase while Baby Bimble makes a charming desk feature, which can be viewed up close. Due to her small size, Bimble is not suitable for children under 3 years old. 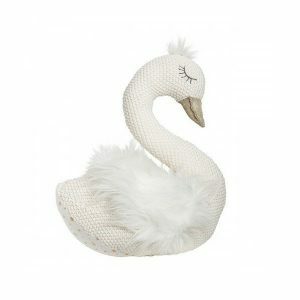 This adorable soft Sylvie Swan by Lily & George is the perfect little companion as well as a beautiful statement piece whether it be on a bed, chair or bookcase. 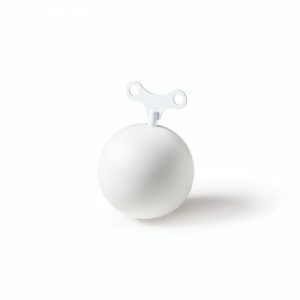 SIEBENSACHEN Mozart Kugel Music Orb Snowball White is a precious gift for a first born child, baby's first Christmas, a Christening, or for expectant parents. Manufactured by Siebensachen in Germany in a village on the edge of the Black Forest, the chime is mounted inside premium beech wood that has been fashioned into a perfect sphere. Children and adults alike will love to handle the finely finished music ball and listen to the sound of the melody within. A turn of the elegantly shaped key magically produces one of Mozart‘s melodies from inside the white ball. Manufactured in a village on the edge of the Black Forest, the chime is mounted in premium quality lacquered wood that has been fashioned into a perfect sphere. Though the mechanism remains hidden, the music will always escape the bounds of the geometric form. In this special edition even the key is all white. The only hole in the ball is where the wind-up key enters and although the mechanism remains totally hidden the music will always escape the boundaries of the beech case. A 20mm diameter metal ring can sit unseen underneath the ball to allow it to rest still on a shelf or mantlepiece. The New York Times selected Mozartkugel as ‘must-have’ while on show in the MoMA Stores. Colour: White. Also available in Beech and Golden Oak. Melody: ‘Voi che sapete’ from ‘Marriage of Figaro’ by W.A. Mozart Includes wind-up key and ring-shaped cradle, instructions and gift box. SIEBENSACHEN Mozart Kugel Music Orb has been designed and crafted to give many years of pleasure through normal use. However please note that damage may be caused to the chime mechanism under certain circumstances. Avoid over winding by more than 4 turns or rewinding whilst playing. The music orb should not be subjected to severe physical shocks. 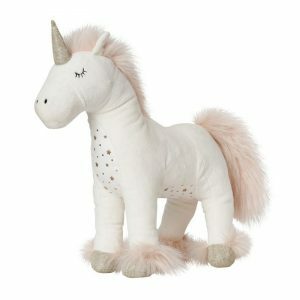 This adorable soft Stardust the Unicorn Toy by Lily & George is the perfect little companion as well as a beautiful statement piece whether it be on a bed, chair or bookcase.